A fossil of a triceratops dinosaur discovered by construction workers on Aug. 25 in Thornton. Denver Museum of Nature and Science curator of dinosaurs Joe Sertich says the find is one of three triceratops skulls found along the Colorado Front Range and has likely been there for at least 66 million years. THORNTON, Colo. — A dinosaur fossil has been discovered in Colorado by construction workers. A horn and shoulder blade has been unearthed so far by crews working to uncover the fossil. Triceratops had two big horns over its eyes and a smaller nose horn. 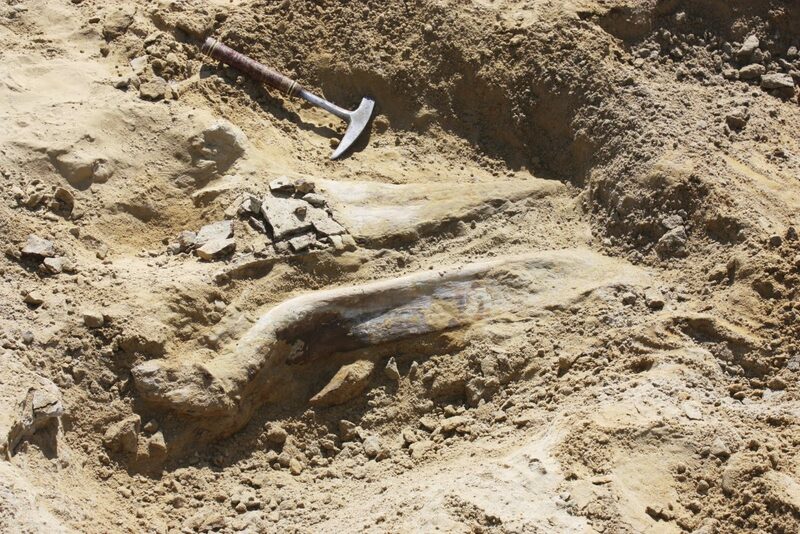 Sertich says most fossils found in the Denver area are from the Ice Age roughly 10,000 to 12,000 years ago and are bones of mammoths and camels.